Erin O’Toole, one of the candidates for the Conservative Party leadership, has made one of the key planks of his campaign his determination to “pursue a Canada, UK, Australia, New Zealand trade and security pact.” The idea of creating a “CANZUK” zone of free trade and free movement of labour is catching on elsewhere, too. In New Zealand, the junior coalition partner in the government, the Act New Zealand party led by David Seymour (who himself worked for five years in Canadian politics), is explicitly in favour of free movement and free trade within CANZUK. In official party circles within the U.K. and Australia, the wheels are grinding a little slower, but the former Australian prime minister Tony Abbott is already into most of the idea, proposing a free-trade agreement and free-movement area encompassing Australia, New Zealand and the U.K. And in Britain, Theresa May’s Conservative government has made it clear it wants new trade agreements with Canada, Australia and New Zealand as soon as possible after it leaves the EU. The idea of CANZUK begins with a free-trade agreement, free-movement area (the freedom to live and work in each others’ countries) and defence-partnership agreement. O’Toole favours all three of these main planks, and he’s right that it all makes perfect sense. The CANZUK countries, working closely together, would make a formidable contribution to world affairs. They would have the largest total landmass of any free-trade zone. They would collectively constitute the fourth-largest market in the world, after the U.S., EU and China. 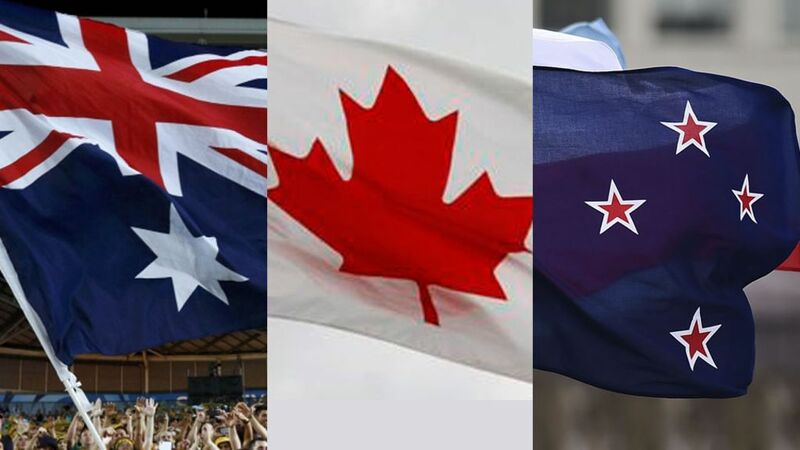 Their combined military spending would be the world’s third largest, well ahead of Russia, and on European Geostrategy’s geopolitical power index, the CANZUK countries collectively have a strength around 70 per cent of that of the U.S. — and nearly twice that of China or France. With a combined global trade footprint nearly twice as big as Japan’s, the CANZUK countries would have substantial influence in opening up global markets and guiding global regulation across a range of issues from banking to shipping to the environment. Most of the main issues our political parties focus upon are instantly comprehensible to anyone from another CANZUK state. Our laws and constitutions share many features, making trade deals and mutual regulatory recognition a relatively straightforward matter. Our citizens enjoy a roughly similar per capita GDP (which is just not true of the other Commonwealth nations with similar constitutions) and face few hurdles in integrating into another CANZUK country’s labour market. Our societies are peaceful and orderly. And in our modern globalized world, we see that we are much more similar to each other than we are to others. The challenges of dealing with Japanese or Chinese business partners can be overcome, but they cannot be denied. Continental Europeans have different foibles, different goals and different priorities from ours, as well as importantly different legal and constitutional challenges. The arrival of President Trump reminds us of just how different from us many parts of the U.S. really are, and always have been. Furthermore, while the U.S., the EU and China can all make valuable trading partners in their different regions, each CANZUK state that encounters them is regionally overmatched and, standing alone, will inevitably be dominated. Working together though, exploiting our natural affinities and the world of mass communication, high-value services and rapid transit, CANZUK can allow us stand our ground and project our own values and agendas. The post-Cold-War alliances and assumptions are obsolete. NAFTA is dead. The EU will soon lose one of its largest members. Trump might downgrade NATO, abandon the WTO and even diminish the UN. It’s tempting, in a world of change, to try to cling to as much of the old certainties as possible. But if we look up and out, something new beckons. Free trade, free movement and a new security partnership between countries of shared culture and natural affinity. CANZUK is the global deal of tomorrow. 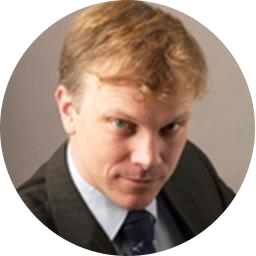 Dr. Andrew Lilico, born in New Zealand but based in London, is executive director and principal of Europe Economics, a fellow of the Institute of Economic Affairs, and chairman of the IEA Monetary Policy Committee.